Dr. Harmik Soukiasian is a renowned thoracic and cardiac surgeon in Los Angeles, California. 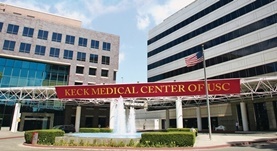 He received his medical diploma from Keck School of Medicine of USC in 1998. After getting his medical degree, he did an internship at the University of Southern California - LAC+USC Medical Center. 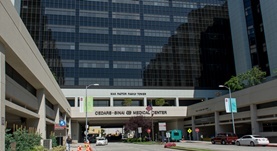 Dr. Soukiasian completed his medical education with a residency in general surgery at Cedars-Sinai Medical Center, another residency in general surgery at the University of Illinois College of Medicine at Chicago, a fellowship in thoracic surgery at UCLA Medical Center and another fellowship at the University Of Pittsburgh. He is certified by the American Board in surgery and thoracic and cardiac surgery. His subspecialty is general cardiac surgery. Currently, he works at Cedars-Sinai Medical Center and Keck Medical Center of USC. He was awarded the honors Super Doc and CMS Stage 1 EHR. He has published many articles in cooperation with other doctors. Dr. Harmik Soukiasian has contributed to 3 publications. Gastroesophageal Reflux Reported on Esophagram Does Not Correlate with pH Monitoring and High-resolution Esophageal Manometry. Serna-Gallegos, D.,Basseri, B.,Bairamian, V.,Pimentel, M.,Soukiasian, H. J.; Am Surg. 2014 Sep 30. Minimally invasive VATS left upper lobe apical trisegmentectomy. Soukiasian, H. J.,McKenna, R. J.; Ann Cardiothorac Surg. 2014 May 03. Aortic valve replacement or heart transplantation in patients with aortic stenosis and severe left ventricular dysfunction. Czer, L. S.,Goland, S.,Soukiasian, H. J.,Gallagher, S.,De Robertis, M. A.,Mirocha, J.,Siegel, R. J.,Kass, R. M.,Trento, A.; Transplant Proc. 2012 Dec 27.